I was invited to a special Samsung Las Vegas Display Tour, a unique press event quite different from any other I have seen! Whenever we learn about new techniques, products, advances, or the latest innovations in businesses, usually we meet at a conference to view the material and be advised by their experts. Samsung’s event is even bigger providing the press a more intense immersion into the subject of Samsung’s signage. Beginning at the LINQ Hotel & Casino for a 2 hour Executive Meet & Greet, a pleasant way of speaking to the people in the industry. These Samsung displays are brighter and bold with wide viewing angles and workable to many types of businesses and locations. The colorful designs are even more vivid to attract attention and provide information. We had the opportunity to view their displays while strolling with the executives around the LINQ. 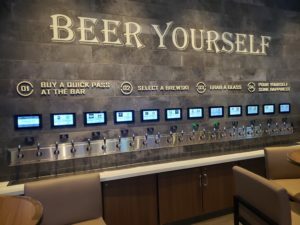 There are three special Samsung displays of the “Fan Cave” area and the “Beer Park” section located in The Book within the LINQ Hotel & Casino (see PHOTOS). 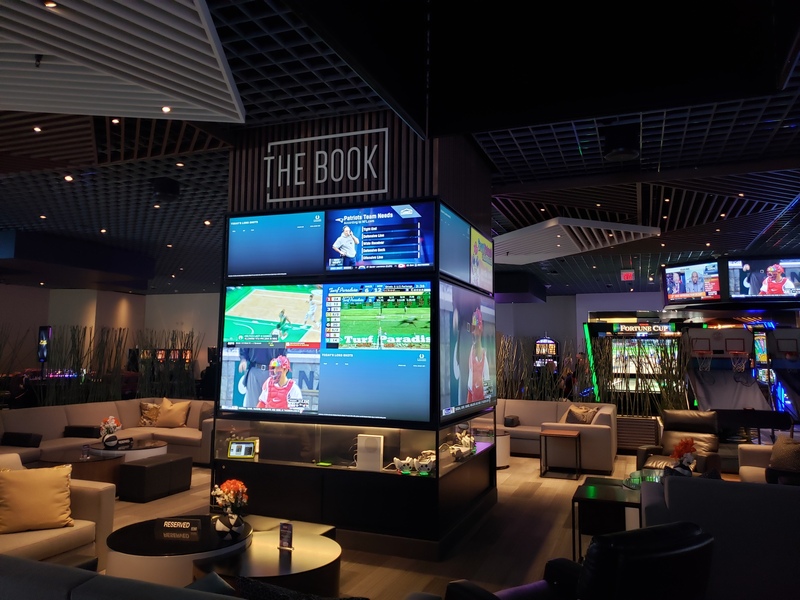 The Book features more than 80 Samsung screens and guests can control content shown on the 49- and 98- inch displays with Samsung tablets. 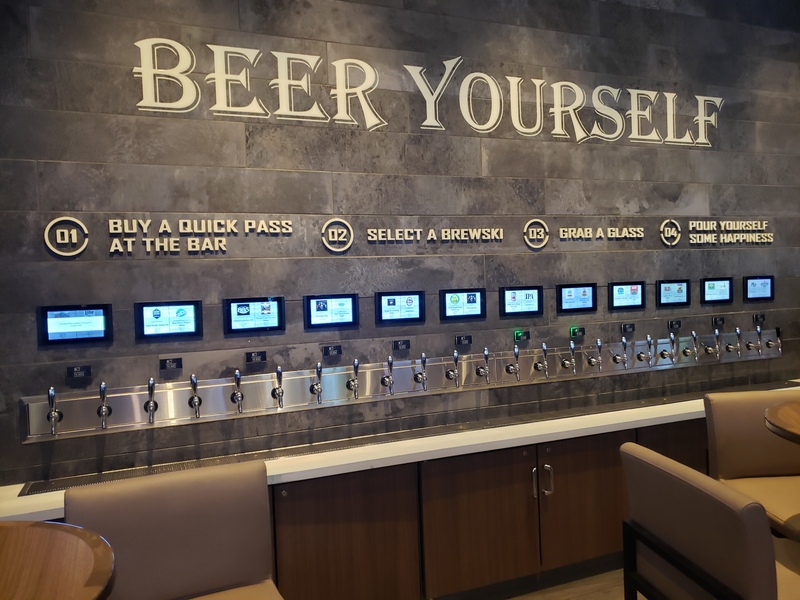 In the “Beer Park,” guests select which brew they would like from the Samsung tablets installed above the taps and serve thems elves after paying at the bar. Samsung’s displays are used to attract customers to businesses and for beautifying your home. The next stop for members of the press and the executives as they walked along the LINQ Promenade to the High Roller Experience in a Private Cabin for an hour. A private cabin? Yes, they even have parties with open bar cabins for cocktails in the sky! Seeing Samsung’s displays was exciting from the ground but from 550 feet up in the world’s tallest observation wheel was unbelievable! There are so many ways to enjoy Samsung’s signage and following the High Roller everyone stepped into a limo to view the signage on the Las Vegas strip. What a day but there’s more! The group were driven to the famous Hell’s Kitchen in Caesar’s Palace for a leisurely 2 hour dinner with the executives. Being with the executives, each person could ask questions and discuss the signage displays as they saw them. Award-winning television producer, Sandy Zimmerman filmed travel specials in Beijing, on the Yangtze River Cruise, both in China, and also in the Piedmont Wine District of Italy, in other countries and the US. Sandy produced documentaries on Bryce Canyon National Park, Grand Canyon National Park-North Rim, and Zion National Park as well as an old fashioned Cattle Drive, in Reno, similar to the early western films. Sandy Zimmerman has produced television programs, TV commercials, travel specials and documentaries for 20 years, is a syndicated Show and Dining Reviewer, Travel/ Luxury writer, Health, as well as a Photographer/ Videographer, Editor, Director, and Talk Show Host of Sandy Zimmerman’s Las Vegas Television Show and Discover the Ultimate Vacation travel specials.